Resident Evil 7 Biohazard sets a new course for the Resident Evil series as it leverages its roots and opens the door to a truly terrifying horror experience. Explore, survive, and feel in this special edition of Capcom’s Resident Evil 7 for the PlayStation 4. Frank West is able to unlock classic Capcom characters outfits, wield iconic weapons and perform outrageous signature attacks – all while fighting off the zombie horde! All DLC Included – All downloadable content previously released for Resident Evil™ Revelations is. 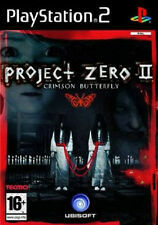 horror title that takes place between the events of Resident Evil 4 and Resident Evil 5, now. for an added challenge, featuring enemies that will test the skills of any Raid Mode vet, remixed. 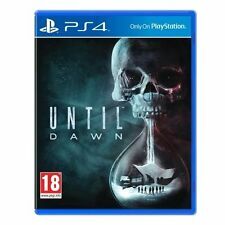 Call of Cthulhu PAL UK Brand New & Sealed. Also providing free first class signed royal mail post within the uk. Any questions feel free to ask. Also checkout my other ps4 games in auction. Happy Bidding! Bethesda's reality warping, survival horror blockbuster, The Evil Within, is back with a sequel. There's a vast dark world to explore, and it's constantly shifting and creaking around you. Whatever you do, however, you'll need to prepare carefully and manage your limited resources wisely. Silent Hill Re-Mastered Collection combines two classic spine-chilling Silent Hill titles from. living monsters within the haze that is Silent Hill. attempting to bring Harry Mason's daughter, Heather, into Silent Hill. Title: Resident Evil. Platform: Sony Playstation. Region: PAL. We pride ourselves on our reputation for ensuring all orders are quickly processed and despatched. Manufacturer Part Number: 5055060931646. SILENT HILL (Black Label Version) - Sony Playstation 1 With Manual and extra promotion booklets. In fantastic fully working condition. But this is no remake. Then all hell breaks loose. Each species has its own abilities, weaknesses and strengths - the Colonial Marine isn't as agile or well-armoured as its enemies, but it makes up for this in raw fire-power and map scanning technology. DINO CRISIS ORIGINAL BLACK LABEL PLAYSTATION SONY PS1 PS2 PAL . Condition is Good. Dispatched with Royal Mail 1st Class Large Letter. 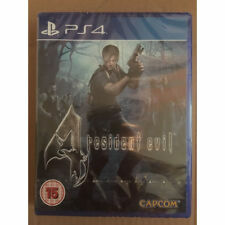 Resident Evil 6 PS3 (New & Sealed) - UK Version. Condition is New. Dispatched with Royal Mail 2nd Class. 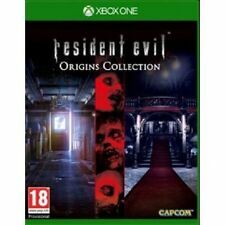 Resident Evil, one of the most revered series in gaming, is back to put the willies right up you once again. Will it be up to it?. We hope so. It's turning the people and animals into mindless killers, and it needs sorting out. Dead Rising kept players' pulses racing by forcing them to adapt anything they could lay their hands on as weapons to defeat the zombie horde. This being a gaming city, there's plenty at hand to use to attack the undead - baseball bats, electric guitars, even roulette wheels and slot machines can all be used in your defence. 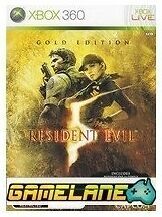 Resident Evil Nintendo GameCube PAL VERSION . Condition is Very Good. Dispatched with Royal Mail 1st Class Large Letter. Complete with instructions- 2 discs. Arm yourself to the teeth then blast your way through a horde of enemies and monsters coming at you from all angles. Duck and dodge everything that's thrown at you in this fright-filled rollercoaster ride from hell - exclusive to PlayStationVR. 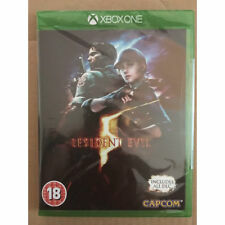 Resident Evil 5 – Steelbook Edition for Sony Playstation 3. I will do everything I can to sort it out. BRILLIANT GAME IN ALL ROUND PRETTY GOOD CONDITION!! JUST THE ODD BLEMISH BUT IT IS ALL COMPLETE AND AT A GREAT BUY IT NOW PRICE!! 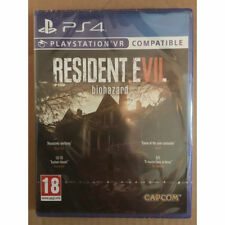 Resident Evil 7 Biohazard (PS4) VR Compatible New and Sealed. Condition is New. Dispatched with Royal Mail 2nd Class. The Silent Hill Collection (Sony PlayStation 2, 2006). Condition is Very Good. Dispatched with Royal Mail 1st Class Large Letter. Title: Dino Crisis. Platform: Sony Playstation. Region: PAL. OUTLAST TRINITY. FOR PLAYSTATION 4. 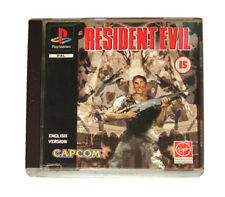 Resident Evil. PAL / UK version.